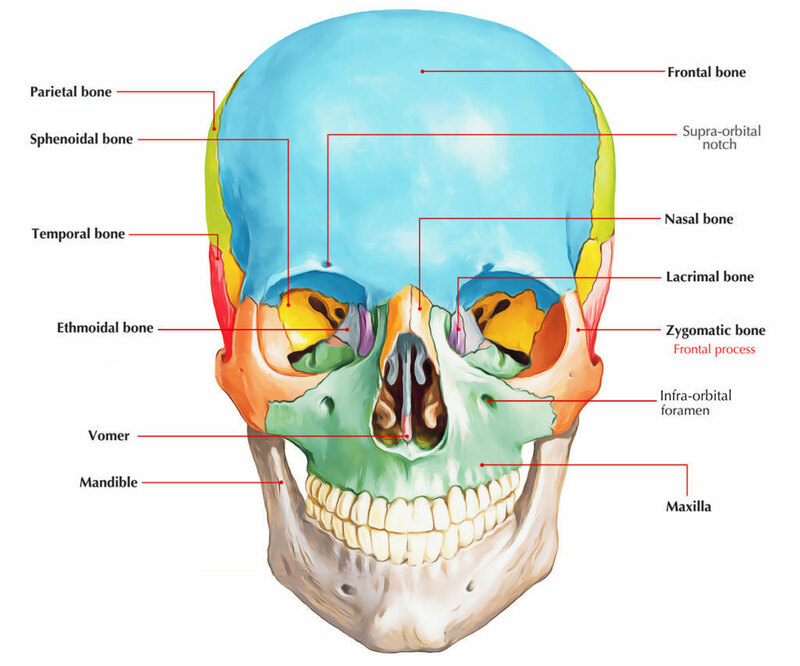 Frontal process of Zygomatic bone is a thick rising protuberance. Superiorly, its frontal process merges together with the zygomatic process of the frontal bone and supports the formation of the lateral rim of the orbit. Its orbital surface produces a small tubercle known as Whitnall’s tubercle close to the orbital margin as well as 1 cm beneath the frontozygomatic suture.